Terence Rattigan is best known—entirely known, if truth be told—for his understated yet emotionally fraught dramas of middle-class inhibition. Most playgoers have forgotten (assuming that they ever knew it) that he first made his name in England with “French Without Tears,” a meringue-light romantic comedy whose 1936 West End premiere came off so spectacularly that the show, whose cast included the not-yet-famous actors Rex Harrison, Trevor Howard and Jessica Tandy, ran for 1,039 performances. It’s as though Arthur Miller had launched his career not with “All My Sons” but a six-door farce. While “French Without Tears” continues to be revived in England, it has yet to make an impression on this side of the Atlantic. The 1937 Broadway transfer got decent reviews but closed after an undistinguished three-month run, and the subsequent 1940 film version (which starred Ray Milland) is known only to historians of British cinema. So far as I know, “French Without Tears” hasn’t been produced by any professional theater company in America since its original Broadway run. 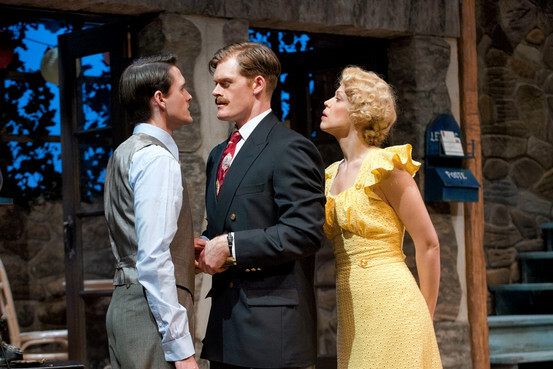 That’s why I went up to Canada’s Shaw Festival to see that company’s ultra rare revival. Could the author of “The Deep Blue Sea” and “Separate Tables” really have known how to split the sides of a matinee crowd? The answer—as one of Mr. Rattigan’s more decorous characters might have put it—is decidedly in the affirmative. Not only is “French Without Tears” as funny as anything by Noël Coward or Alan Ayckbourn, but Kate Lynch’s staging is as good as it could possibly be. “French Without Tears” unfolds in the living room of Miramar, a French boardinghouse that caters to English tourists who want to brush up their French in a cozy seaside setting. Most of its patrons are fresh out of school and headed for business or diplomatic careers. (Fans of the English novelist Anthony Powell, who knew Mr. Rattigan in the ’30s and probably saw “French Without Tears” on the West End, will recall that a similar establishment figures prominently in the first installment of “A Dance to the Music of Time.”) Seeing as how the residents of Miramar include a like number of eligible young men and attractive young women, it stands to reason that high jinks will ensue. So they do, especially when Diana Lake (Robin Evan Willis), a vampy man-teaser, arrives on the scene with the intention of making a minimum of love and a maximum of mischief. Not even P.G. Wodehouse could have cooked up a twistier plot. Part of what makes “French Without Tears” so interesting is that for all the play’s fetching frivolity, Mr. Rattigan’s characters are neither as simple nor carefree as they look. His “sophisticated” young gentlemen in particular are sexually naive almost-boys who are all too obviously afraid of women. Even the Hon. Alan Howard (pitch-perfectly played by Ben Sanders), who purports to be the very model of a suave intellectual, is defenseless in the face of a full-court press by the scheming Diana. 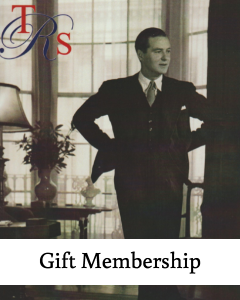 Moreover, they—and we—are well aware that Europe is on the verge of turning itself upside down, and our consciousness of the coming collapse of the old order that spawned Mr. Rattigan’s characters lends a sharp tang of melancholy to their lunatic cavorting. Ms. Lynch knows how to wring every laugh out of a script, and the performances of her ensemble cast are without exception both fresh and felt. The long-legged Ms. Willis is hell on a stick, while Julie Martell manages to make something lovely and true out of the potentially ungrateful role of Jacqueline, the good-egg type who longs in vain for Kit (Wade Bogert-O’Brien). William Schmuck’s set is a minor masterpiece of naturalistic detail. Why on earth should so delicious a play have failed to divert American audiences? Perhaps the problem is that a few of the jokes arise from the widely varying linguistic capacities of the English-speaking characters, one of whom speaks severely fractured French. (Among other things, this benighted soul suffers from the delusion that the French equivalent of “She has ideas above her station” is “Elle a des idées au-dessus de sa gare.“) Fortunately, Mr. Rattigan took great and skillful care to ensure that all but one or two of the bilingual punch lines in “French Without Tears” will make sense to monoglot viewers. So…why not Broadway? We could stand to see a smart, classy British comedy in New York this season. Or next season. Or pretty much any old time. —Mr. Teachout, the Journal’s drama critic, blogs about theater and the other arts at www.terryteachout.com. Write to him at tteachout@wsj.com.